or while you're sleeping tonight.
" 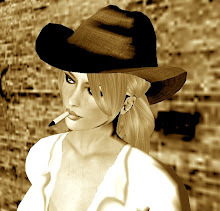 I give unsolicited advice to make people's sl experience better, fully expecting them to ignore me completely." " Hahahahaha! That's such a quotable quote ".
" Do you have poses in your burgeoning inventory? " " Only about 8 zillion ".
" I love physics, and other things I don't understand "
" You're a funny bug "
" Hehehe. I have a warped sense of humor. if it is disturbing, there's a 99.9% chance that I am joking.
" Hmmm... we're the same. But, the 99% when u think i'm joking? I'm not ".
" Love that belt you have on "
" My deNOOBifying belt. I got it from a little shop in the Starlust. " " Some people build, some people script. 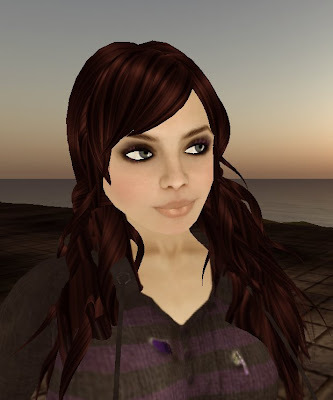 I get dressed up and take pics.It is my way of making SL pretty. I like to adopt newbies ".
" Aha! I know now who you remind me of "
Cute as a button. A huge bundle of energy. So funny and darn smart. This beautiful Tribal Deco Skin? A perfect dress for that perfect date. is a store brimming with marvelous stuff from Japanese designers who are so unbelievably magnanimous with their gifts. 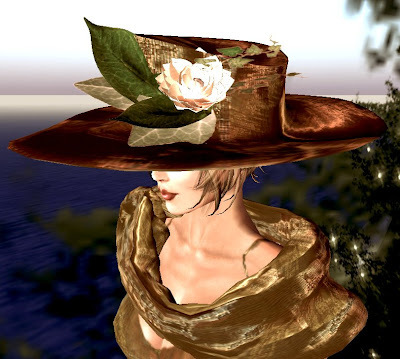 I met ZEN AKINA, the gracious owner of the mall, who stopped and chatted for a bit. She told me that they're trying to promote designers from Japan and helping them get more into the mainstream. I wish I could cram this page with all my loot but I don't want to steal the mall's thunder. You simply have to go and find out for yourself. for fishing me out of the water when I got lost trying to find that hair I saw on her blog. PS: There is joy in repetition. Autumn is here, and it’s time for books, bundling up, hot drinks, and if you’re lucky, hot…well, I digress. OFF-BRAND FURNITURE is offering this wonderful reading stump with accessories for those who put the shop in their picks, and it is scripted to give the appearance of two kinds of leaves, two kinds of grass, two kinds of dirt, sand, and snow. It also offers multiple seats, so that when you settle down to read the clear pages of the included book, “The Queer Yet Silly Mr. Tophat”, you can share it with friends. My outfit is all thrift and comfort today: a wonderful incorrectly buttoned cardigan, knit cap, knit boots, knit rainbow tights, shorts, and –because summer is gone but not forgotten- a faded hibiscus tattoo. With so many hunts going on and with so many updates dropping in like flies, I could barely breathe. Let alone decide which one to go to or which freebie to grab first. So... I'm taking a little break from my closet. And decided to go furniture shopping. That's how I came across two stores located at this beautiful medieval sim. 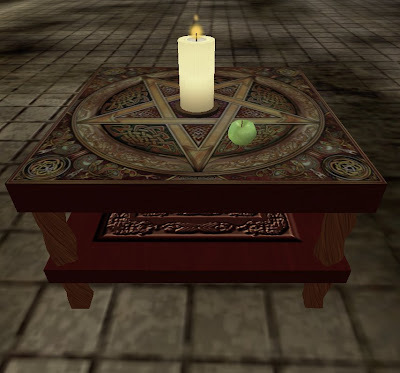 The celtic table is from DALESKIP DESIGNS and the candle (along with the green apple) is from KISMET. Both these stores are located right next to each other. After all, your house needs lovin' too! 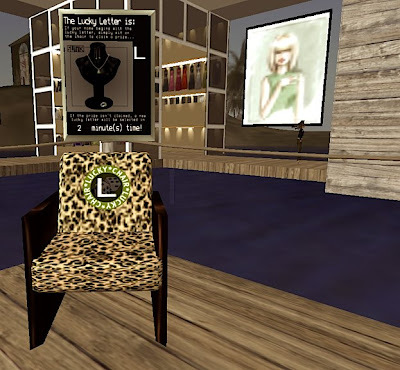 ... and this silver set with the green frog..
... all came from this Lucky Chair..
.. and you will find it when you visit SLINK . Don't worry, I got most of those items above by dropping by and winning the lucky rounds. This chair has been most kind to me.. so go try your own luck! ANALEE BALUT from ALB is giving away this wispy lingerie. THESE DAMIANI BOOTS ARE A MUST!!! only wants 50L for this to die for thigh-high, uber chic and oh so gorgeous boots! Hurry it will only be available at this price for 24 Hours. I mean, how often do you get deals like this????? WANDERER THE WIND .. Only 1L! See how clean my house is? I was so tired after all that dusting, I dozed off while camping for this purple and white skirt. But before I left WTW , I noticed some 30L skirts with the same design as the one I was camping for. They're just in different yummy colors. So if you're wandering around aimlessly, visit WTW for some cutesy. Group gifts are blooming at MAGNOLIA ! ... these dresses are yours! And there's one other box beside the poster with 2 delightful tube tops that you can take home along with these dresses. 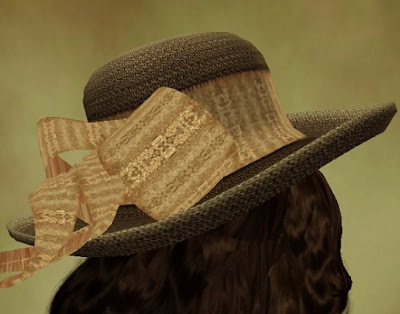 I want to thank Freyja for her warm welcome and generous invitation to blog today. Without further ado, I bring you....cash! A long day of seeking out fabulous dollarbies can lighten the wallet, and sometimes you need money to burn. Don't worry, we've got you covered. WING-SPACE offers an armful of wearable loot and a burning pile of money. They coordinate perfectly with the scripted money belts and money knapsacks at Little Heaven, and what’s more heavenly than sacks of cash? Elle brings you bargains by any means necessary. The knapsack is my favorite--little bills waft out of the openings. Perfect for the "just robbed a bank" look. The catch? If you want to collect the loot at LITTLE HEAVEN'S PRIZE CAMP, you’ll need to hang 20 minutes for your crimes. There are 4 prizes: money belt, money bag, policeman’s belt, and condoms. If you want to rob a bank, arrest your team-mates, and reconcile later in an intimate and safe way, this is your shop! Instant soap opera! As an extra bonus, the shop has poses, creative outfits, a gritty rain-drenched environment for photographers, and lucky chairs in a nearby building. 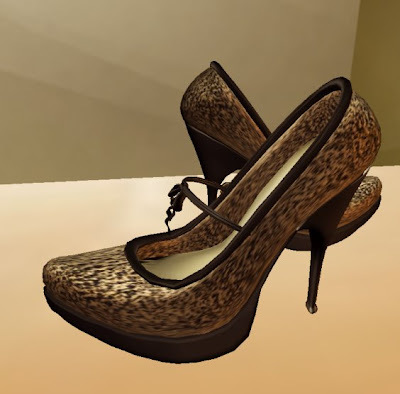 Some of the biggest names in SL Fashion are walking down the Bargain Bin's runway. One of the best Groups I have on my list is PIXEL MODE. 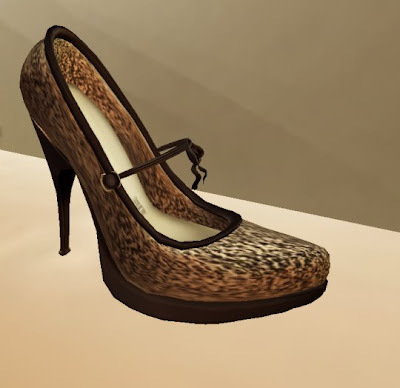 Cheetah and Snake pairs come with and without the bow straps. So for the love of shoes, join the group now before they walk away for good! You can go flower picking at PETAL MEG to get this charming necklace for free. The top I'm wearing is part of the pineapple dress that you can get for free at SINS & SECRETS. This royal blue gown is simply exquisite. AWESOME DESIGNS is giving it away. Look for the boxes with piles and piles of freebies. WARNING: Super Flexi hair. And when I say flexi, it moves if you so much as blink. And whaddaya know... the hip teddy bear also has flexi hair! Also, my ARC count went up to more than 10k because of the little pet teddy. So forewarned if forearmed. You want them? They're over at EXXESS . Hair comes with different head size options and highlights. 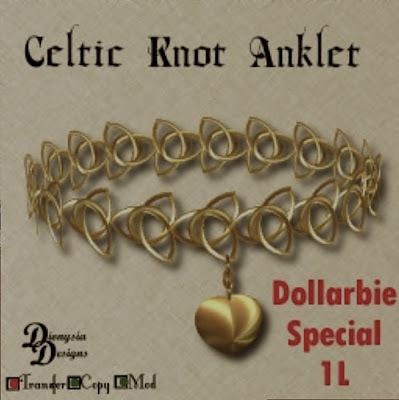 The ad confused me for a minute there so to answer your question, no, the outfit doesn't come with the dollarbie. Her shop awaits you.... and so does this gorgeous gown. THE BARGAIN BIN IS NOW OPEN!